Chicago is finally having a streak of warm weather. People are hosting BBQ's, picnicking and dining al fresco; it makes me crave my Father's guacapico, aka pico de gallo with avocado. 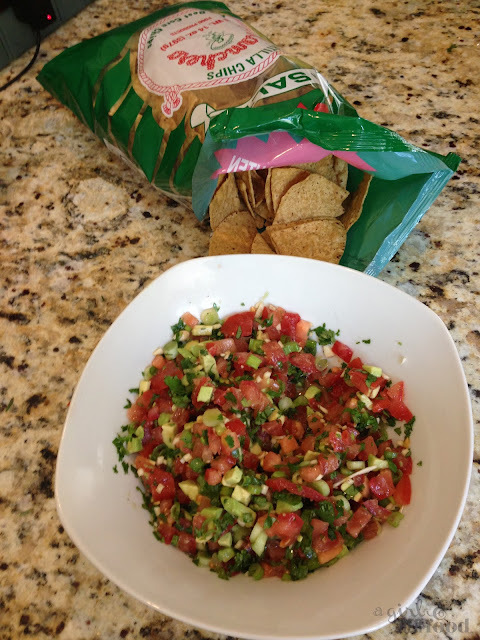 My father is the pico de gallo master, and he chops up the best pico in town. His gucapico is great as an appetizer, snack, or as a topping for you grilled meat and fish! If you are planning a taco night, this is a must! Per the request of my of followers and friends, here is the recipe. Jicama, cucumber or carrot slices. These are my favorite option and it's healthy! Mix all ingredients in a bowl and mix gently. You can cover and refrigerate the mixture until ready to use or dig in immediately! Enjoy! What a perfect summer recipe-- thanks for sharing!